Everyone told me I was crazy when I quit my glamorous, high paying job, but it was the best decision of my life. I was 27 years old. Working corporate, making other people rich while doing something I had no passion for. I had spent five years working in enterprise sales for a company in downtown Chicago. My life didn’t look anything like I wanted it to be. 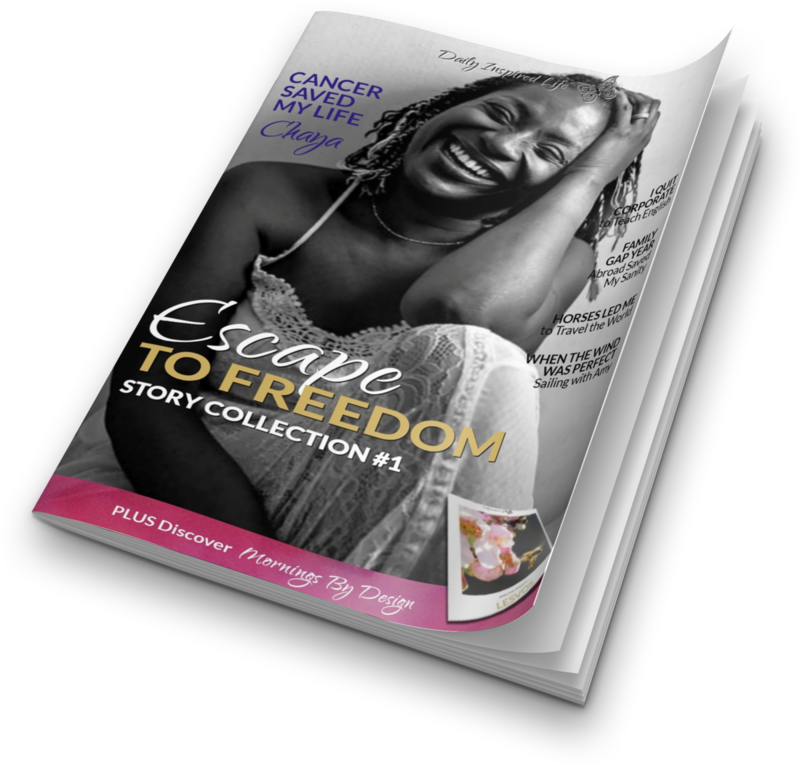 I dreaded going to work every morning, and every evening I could feel the next day looming. I felt like my natural talent for sales and connecting with people was trained out of me. The more “training” I got, the more I struggled with my job and the more I resented being there. Don’t get me wrong, the trainings did teach me a lot, but I could feel myself slipping further and further behind in my quotas the more I was forced to fit into the mold. I looked back on my life to discover my true interests. While my sales job taught me a lot about business, I always had a passion for academics, culture and exploration. I had graduated with a triple major in International Studies, History and Anthropology and a minor in French. I knew I wanted to live abroad and be free to discover more of the world I live in. What could I do to earn an income while living abroad? I started researching alternatives. I registered for a 120-hour TEFL course. What’s TEFL? It stands for “Teach English as a Foreign Language”. I decided to pick up and move abroad to teach English. It was scary at first. In my corporate world, picking up and moving abroad to be an English teacher was not something people just did, especially when the economy wasn’t particularly stable. But I trusted my instinct and went for it anyway. As I (nervously) suspected, it was the right path for me. Taking the leap has been so much more rewarding than I could have ever imagined. It’s said that the dream job is when you find something that you would do for free. I found it in teaching. If I am having a lousy day and then go to teach my afternoon class, I am more energized and happy leaving work than when I arrived there. I have the opportunity to give, which is so different from my last job where I just felt like I was taking all the time. I have literally helped people make their dreams come true. “I got my dream job because you helped me practice for my interview”. “I got into college in America because you taught me how to write”. I spent time teaching in Cameroon, Luxembourg and at an ESL community center in Chicago. For the past six years, I have been teaching English in Thailand and loving every minute of it. 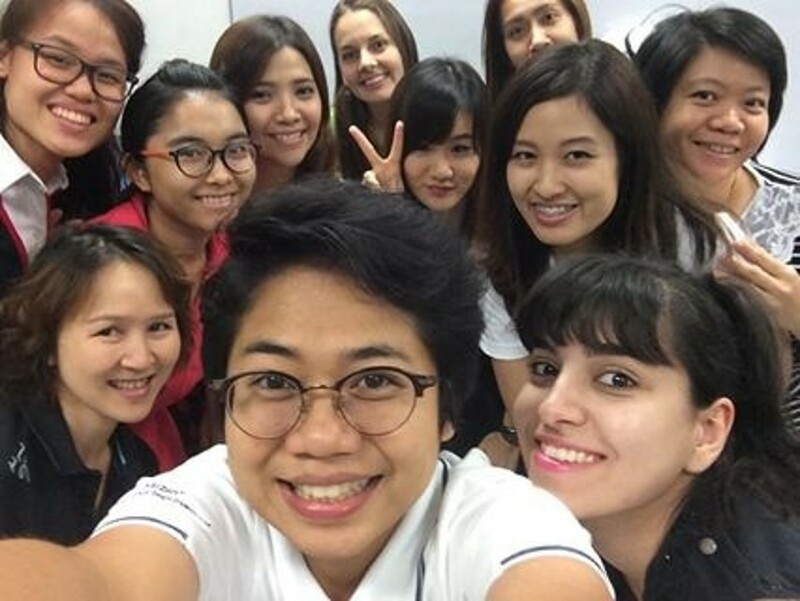 After several years of teaching English in Thailand, it became clear that there was a disconnect between what new teachers learn in their TEFL courses and what actually happens in the classroom. My co-teacher, Whitney, and I formed TEFLPros in order to give new teachers the real tools that they need to begin a successful TEFL career. TEFLPros is the only accredited online course that focuses most of the course hours on practical skills (i.e. lesson planning, classroom management and self-reflection). We are really excited that all of the teachers who have graduated from our course are working! And the thing that’s been even more rewarding is that because we personally interact with all of our students, we keep in touch. We get regular updates when they score that dream job or have an awesome lesson or have a kid come to them and tell them that they are an inspiration. One of our first students, Kate, has become a good friend of mine. She moved in across the street and we hang out all the time. She’s working at a great private high school in Bangkok now. We go out for dinner/drinks and the occasional $5 Thai massage and talk about what a small world it is that we became such good friends. 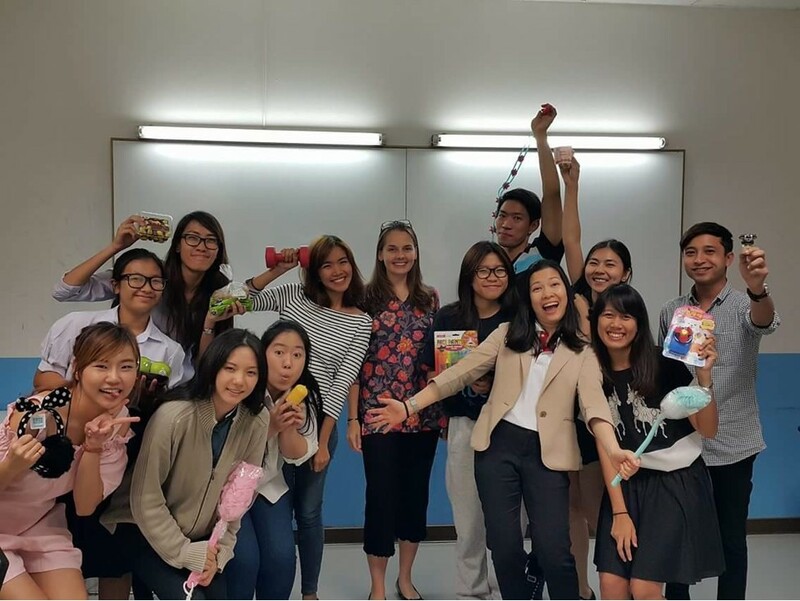 Another grad, Bridget, joined a volunteer program that we administer together with the Thai Ministry of Education. She registered for two courses prior to finding us and said ours was the only one she felt engaged enough to complete. Bridget is going to start volunteering in underprivileged Thai classrooms this November. Another grad, Joan, is an older woman and she recently sent us a handwritten note about how our course is going to help her serve the refugee populations that she works with so much better. Stories like these are why I love what I do now. 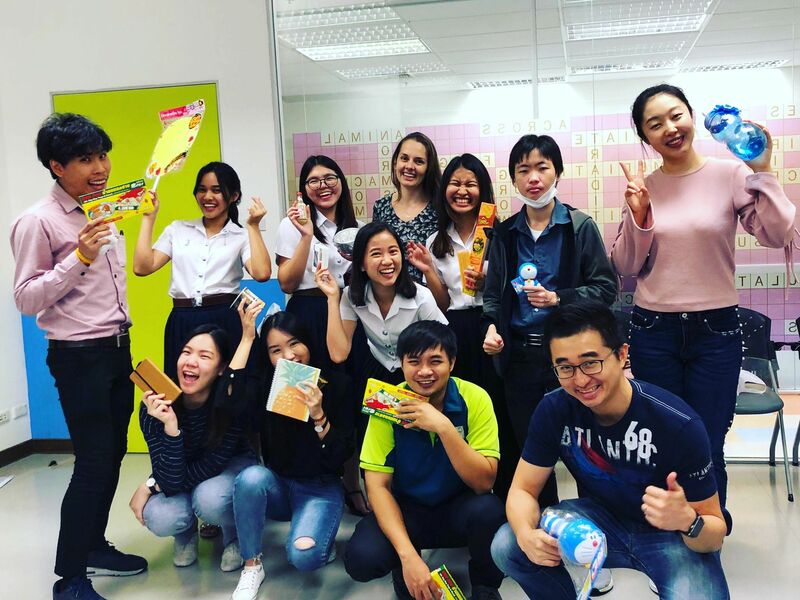 The most full-circle moment in my journey was when one of our graduates came to Thailand and started working with me as a teacher at the school where my journey started. There is so much satisfaction in helping someone else reach their dreams. There is no amount of corporate America money that could buy that kind of fulfillment. I love my work. 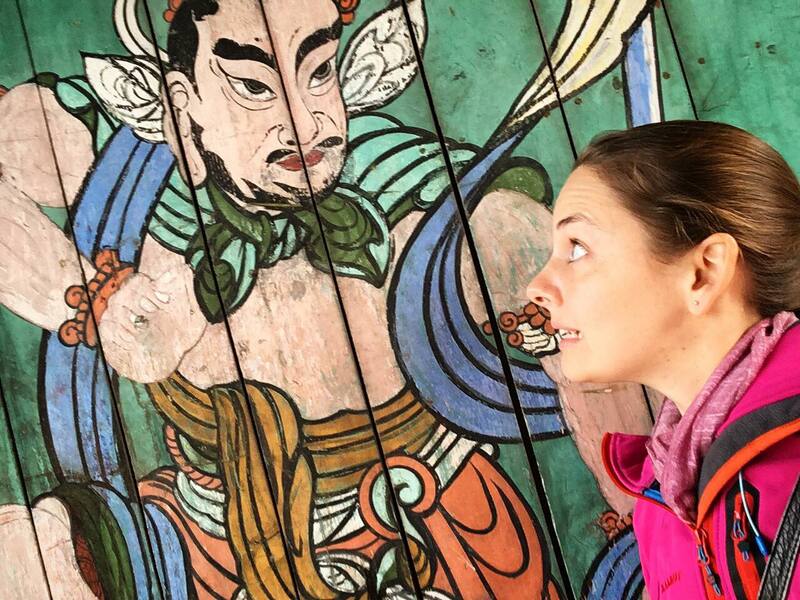 As a teacher and trainer, my work life balance is amazing, I can travel and I learn something new every single day. I’ve been to over 40 countries on 6 continents, taught thousands of students, and tried some really weird foods. 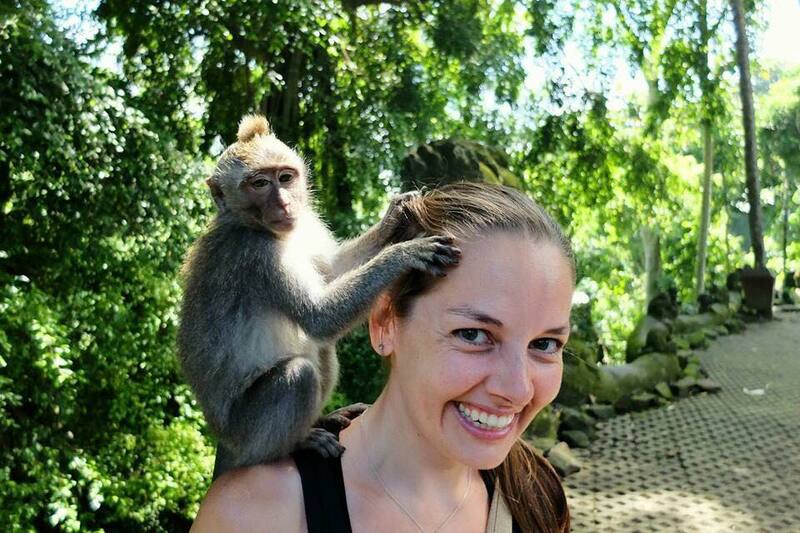 I’m passionate about teaching and helping new teachers feel comfortable beginning their TEFL career with all the knowledge that they need to be comfortable, skilled and successful. TEFL is not for everyone, but if you are the kind of person who wants to have a more fulfilling life, see the world and learn, there is no better job. If you’d like to try our course out, you can go to www.teflproscourse.com. It may seem like a leap at first, but in reality, it’s just one foot in front of the other. There is literally a world of opportunity out there waiting for you! Do you want to fund your travel lifestyle by teaching English abroad? Access module one of Jocelyn's course here: www.telfproscourse.com. I’m inspired by this post. The best part of what you’re doing is that you get to travel and educate people at the same time. Thank you! 🙏🏻😊 The travel has been amazing, yes, but being able to do something I’m passionate about along the way has been the real treat. Good for you for following your instincts to quit your job and just go for it! Very inspiring! Thanks! At the time I didn’t feel so inspiring, but I guess that’s part of the journey 😃 I wouldn’t take any of it back. Wooooowww! This is so inspiring! Great job! More and more people choose to do these kind of things these days, especially when it comes to asia. Thank you for sharing your story Jocelyn. Wow this soubds like fun! Im gonna check it out! Great post to share. I feel that life should be lived for moments not just a dollar. So this was a great decision for your soul. Thanks! Sometimes I wish I had more dollars 😂 but then I just think back a few years and remember how happy I am now 😃 no price for that! oh wow Lauren. Sounds like Joceyln’s story really related to your situation right now. Wishing you all the best! Wow that takes some guts…. Did you find there was a language barrier or did it not matter at all? Hi! 😃 In Thailand there’s a language barrier for complex conversation but enough people speak English that before I could speak Thai, there was always someone to help.